If only all politicians were more like him … As they pay their personal tributes to the great man – a man, not a saint, for he, like all mortals, had his faults – surely they would honour his memory more, not with words, but by emulating him, as much as they possibly can. This was a man who did not succumb to bitter rage following his years in prison; who did not advocate violence on his release … Instead he embraced the ideals of reconciliation; his forgiveness was genuine, his generosity was genuine. When elected president, Mandela didn’t cling to the reins of power; he wasn’t an Amin or a Mugabe, for two years later, he stepped down. And, even then, when the world was still so fixated on him, he didn’t attempt to influence the government. Instead, he stepped well away, gradually moving away from the public eye. He put the country and the people first, before himself. I wonder, how many world leaders/politicians are prepared to do that … to view themselves as less important than the people who voted them into power? 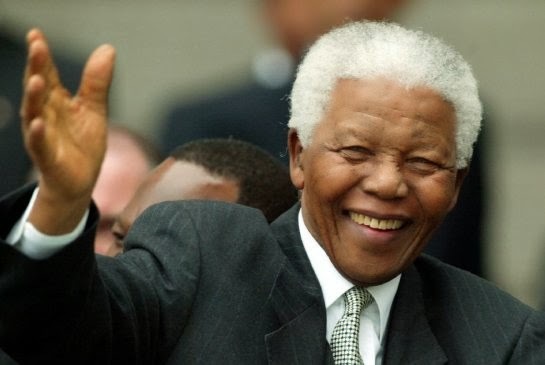 What an amazing life Nelson Mandela has had; the world has lost a rare man indeed.